Author: Charles Heunemann is VP, Managing Director for Natterbox Limited in APAC. The saying “the customer is always right” is one that has been drilled into those who work in customer service for as long as we can remember. Initially coined in the early 1900’s by pioneering retailers including Harry Gordon Selfridge, Job Wanamaker and Marshall Field, it placed great emphasis on why businesses should always aim to improve the customer experience. While the way in which companies interact with their customers has changed dramatically since then, this piece of advice highlighting the importance of the customer experience remains as relevant as ever. In today’s digital era you can buy anything online, from groceries to furniture, without any direct interaction with another person. This level of speed and convenience means that the virtual customer can become impatient and have high expectations that come along with a smoothly automated customer experience. That said, we know that even with the best chatbots, or virtual assistants, there will always be an instance where things don’t go quite right and a customer needs to speak with a real person. That is exactly when companies can really demonstrate that good customer service comes first in their priorities. A recent survey commissioned by a contact centre recruitment agency, Citrus Group found that 64% of Australians have had a bad experience with call centres and 43% have admitted they wish they never had to deal will a call centre again. These findings suggest that it is more important than ever that businesses understand how their consumer base is changing and adapt accordingly. Using banking as an example, the rise in online banking and applications has made it easier for consumers to manage their money, leading to a direct decrease in branch visits. Figures are predicting that the number of times the average consumer will visit a branch will more than half. So, how can businesses become more in tune with their consumers when using traditional forms of communication? Firstly, we must consider the mode rather than the device, especially when phone anxiety has become more prevalent, removing personal connections from corporate-client relationships. Secondly, technology must be used as a tool for social enhancement and modern experiences, providing valuable insight into the good and the bad of business engagements. Lastly, it’s all about trying to understand your customer and offering the best solution for their issues, queries. As the world has become more hyper-personalised, thanks to digitalisation, it is clear that businesses should be honing into the deeper aspects of successful consumer services. No customer is the same and should not be treated with the same manner, temperament and style of service. This also applies to the effort a business provides to a customer and how they expect to receive their premium service. According to the same Citrus Group report, 42% of 18-25-year-old respondents said that being passed around was the main reason for their negative sentiment towards contact centres. Above all, personalisation does not only come down to the type of product they’re receiving but the type of person they’re speaking with. Along with empathy to their individual situation, customers simply want the quickest resolution, which requires teams to be consistent in their relationship and tailored offerings. There’s nothing more frustrating than dealing with someone who simply doesn’t know what they’re talking about or having to constantly explain your situation time and time again. Courtesy is key, with 3% of 50-57-year-olds revealing that they would actively tell others not to use a company’s call centre if they were mistreated. Particularly, in a world where viral content can transform businesses both positively and negatively, there must be systems put in place to ensure that staff and businesses are being provided with the best service. 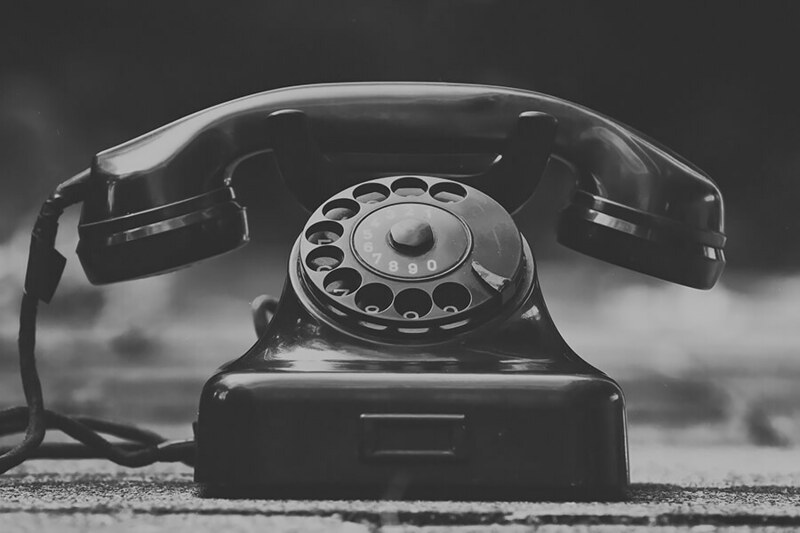 Companies should utilise phone calls as a way to speak with customers, for example, to thank them for their business or ask if they are satisfied with the company’s service. Use courtesy calls to encourage feedback and strengthen customer relations. In a competitive world where there are endless choices at the click of a button, communication tactics should not only be well executed but absolutely well managed for long-term benefits. The exclusivity and generosity of businesses that provide clients with the opportunity to engage in courteous conversations are the ones that will be able to sustain their services the longest. It’s important to recognise that efficiency is far more valued than sheer speed. Customers want to know that any query or problem they have is dealt with correctly and accurately. If a solution can’t be found during the conversation, ensure regular updates are communicated to the individual to notify them that you are actively searching for the best outcome. Going this extra mile will be much appreciated and will surprise and delight them into potentially becoming an advocate for the brand. Succeeding in this level of service is not easy, but just as much as technology has created higher expectations, it has also created solutions to help. The level of call centres becoming a relative nuisance in the homes of families across the country is transforming the way businesses view customer service. The blend of technologies such as data analytics, cloud telephony solutions and AI combined with human interaction can help any business deliver a personalised, consistent and efficient customer service in keeping with the vision laid down over a century ago.